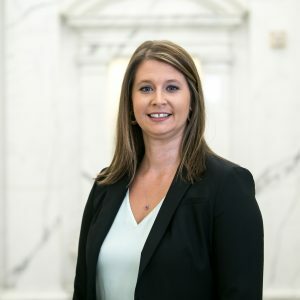 Tracy has 11 years of experience in client relationship development and management and began her career in public accounting at Saville, Dodgen, & Company in January of 2015. Since then, Tracy has enjoyed working with Saville’s Energy and Professional Services groups, as well as building relationships with clients in a wide variety of industries. While she has gained proficiency in oil and gas and professional and family offices, her primary focus is and will always be developing and maintaining long-lasting client relationships. This allows Tracy to advise clients in a variety of consulting areas. Outside the office, Tracy enjoys spending time with family and friends as well as doing anything and everything outdoors – traveling, running, fishing, concerts, camping, beaching… you name it.